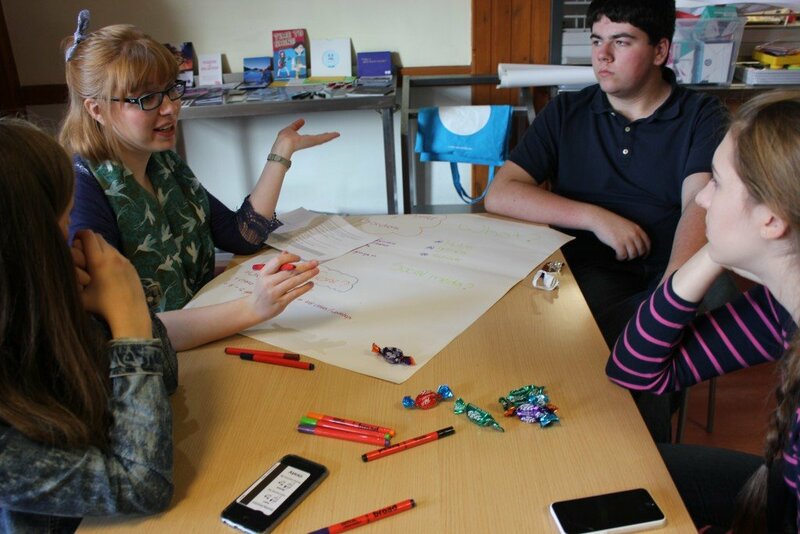 Lauren Neilly writes about her perspective of the Time to Shine Youth Arts Strategy as a member of Youth Arts Voice Scotland. Hi! My name is Lauren and I am one out of the fifteen young people involved in Youth Arts Voice Scotland – or YAVS! Our role is a rather simple one, we offer support and guidance to Creative Scotland and Young Scot on the progress of their national youth arts strategy, Time to Shine. We are one of a kind – whether it be funding, or meeting governmental figures to promote the programme – our voice matters, and so does yours! One of the first advancements of the Time to Shine strategy was the implementation of 9 youth art hubs throughout Scotland. This project has produced incredible results so far with a staggering 15,000 young people getting involved in the first year. These youth led partnerships are projected to involve over 40,000 young people in the next year and I’m sure you will agree this is a remarkable achievement. Time to Shine has shown an immense focus on developing young people in a big way and supporting their careers in the arts. A lot of young people talk about how difficult it can be getting your foot in the door, and I too share this pressure, but Time to Shine has made a huge effort in supporting and sustaining young people in a career through youth internships, many of which can be found throughout the hubs. As YAVS we have had the opportunities to enhance other developments of this strategy. The TTS Digital project was established with a successful first phase of growth, which was fully assisted by members of YAVS who cooperated in workshops, decision panels and more recently, in selecting keen individuals for phase 2 of the project. This project is proving to be a huge success as it has introduced a number of unique and definitely interesting projects which will hopefully change the way we perceive art and the creative sector. In line with YAVS and the work we do, Youth Arts Ambassadors were recently appointed to work in a more local context by engaging with the regions of Scotland that offer creative hubs. Our main hope for these aspiring young people, is that they will gain deeper awareness of specific art forms and groups in their particular area, allowing us to progress further and raise awareness of not only the strategy but also the opportunities available to young people. I joined YAVS to make a difference. I always had a love for the arts and wanted somehow to get involved in sharing my passion with other young people. The creative industries face a lot of criticisms and many young people find the arts too traditional – I hope to challenge these perceptions, and make young people see that there is more to this sector than just music, dance and theatre (although I do love these in equal proportion!). I believe that many young people, without realising it themselves, are getting involved in some form of art every day – and it is up to us to show them that different side to this great industry. Lauren is 20 years old and from Stirling. Part of the Youth Arts Voice Scotland, she is passionate about raising the profile of the arts and contributing to the ongoing development of Time to Shine, Scotland’s first Youth Arts Strategy.